According to users and reviews, Windows phone is the third ranked choice of mobile operating system soon after iOS/iPhone and Android. This is Microsoft’s mobile version of Windows that feature a colorful tile on the Home Screen. The present version is Windows Phone 8.1 but the other version that is already under construction is the Windows 10. Only a few models can be upgradable and hence you should be sure before making a choice. Here are some of the best Windows phones or the latest Nokia mobile phones that you should wait for in 2015. Nokia Lumia 930: The Lumia 930 is a perfect step in the correct direction with its decent hardware and semi-metal line-up. Although the screen and camera is awesome but it lacks some additional features and also lacks the expandable memory storage. When it comes to third-party hardware, this may not be the best choice for you but otherwise it seems one of the best to buy in 2015. Nokia Lumia 530: Nokia Lumia 530 is also one among the Windows smartphone that you may consider buying in 2015. Although its display is not earning accolades from its users but if you’re buying with a tight budget, you may opt for this as it offers some of the best features in a reasonable price. The camera performance also helps build good quality. 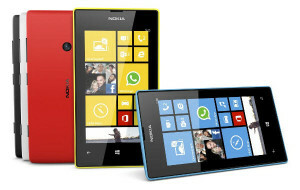 Nokia Lumia 925: From all the preceding Windows handsets that Nokia styles for the pre-teens, the Lumia 925 stands apart. This has a slightly more sophisticated grey and metal plastic look. As a piece of hardware, it’s put together with all the best things but the only thing that undermines this smartphone is its software interface. However, at the same time, you also find half of the apps already installed in this phone. Nokia Lumia 625: The Nokia Lumia 625 is a bright, big and colorful Windows 8 phone. If you’re someone who is short on budget and is looking for a 4G capable smartphone, this is indeed a great buy. Among all the Nokia mobile phones models, this is one of the best buy for you. Nokia Lumia 630: If you’re considering the Lumia 630 as your very first smartphone and you’re not planning to buy lots of accessories, this is definitely not a bad choice at all. Hence, if you’re looking for the best Windows phones of 2015, you can take into account the above mentioned latest nokia mobile phones.